Echo-OTCH Merichase Skye’s Legacy TD UDX3 SH OA AXJ WCX VCX VCD1 OBHF Perfect 200, MACH ptd. My passion is showing and training dogs for obedience and hunt test. I’ve also enjoyed success in agility, tracking and conformation. 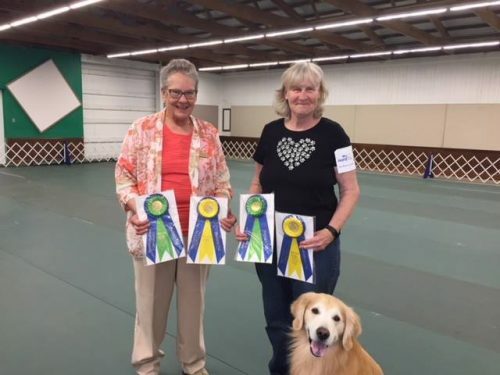 Over the past twenty years, I’ve been fortunate to have trained some wonderful dogs to multiple titles! I share all that I have learned with my students in the Novice, Open and Utility competitive obedience classes at Canine Sports. My philosophy is to help each student to achieve whatever goals they chose to train for. I am also available for private lessons. I am an AKC Hunt test judge and an AKC Canine Good Citizen evaluator. Christy and “Skye” OTCH Morninglo Fire in the Sky UDX4 MH NA NAJ WCX VCX OS) CH ptd. I have been training and competing with dogs for almost 20 years. I am a member of Cleveland All Breed Training Club (CABTC) and started my training with my labs at CABTC. It was there that the bug bit me and soon I was shadowing instructors. 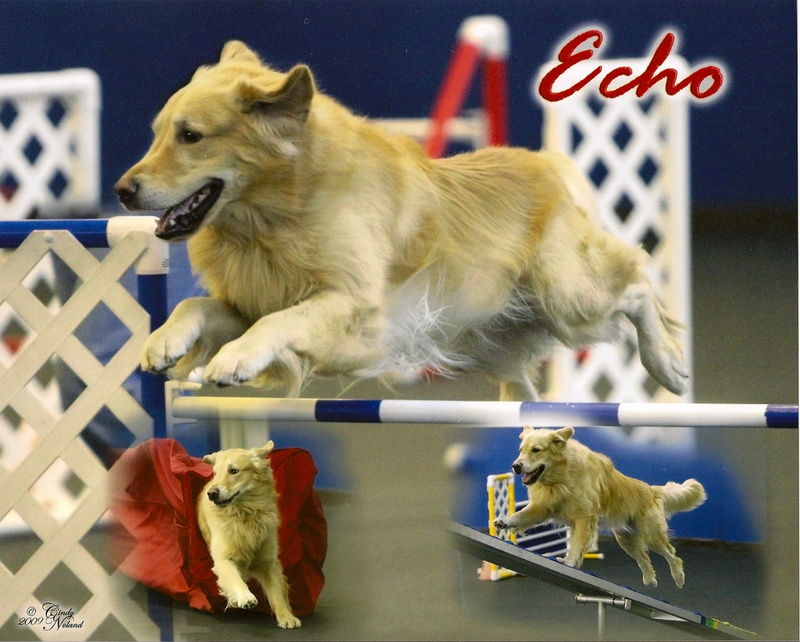 Laurie teaches the pre-agility, beginner and advanced agility classes. In addition to agility, Laurie trains for herding with her border collies. Jan is an agility judge and competitor. 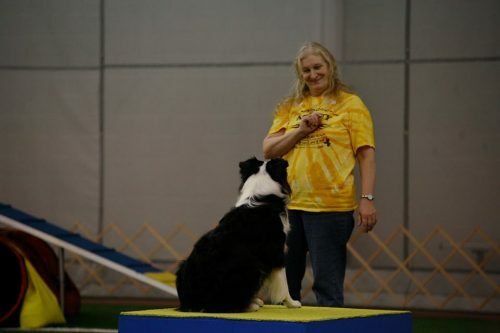 She teaches the Intermediate/Advanced agility class. Jan has many advanced agility titles on several different dogs. 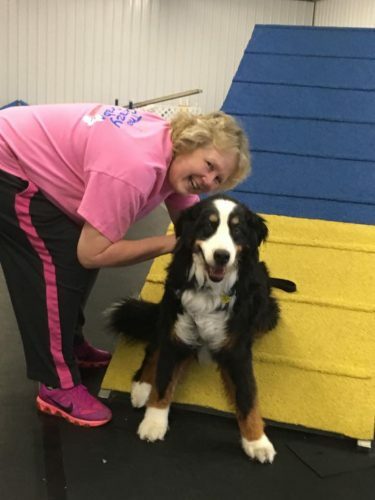 Jan is currently training her Aussie in both Agility and Rally. My black lab Jeeter (a former Guiding Eyes puppy) and I have been competing in rally since 2011. In the ‘new’ sport of rally we have earned the World Cynosport Rally Champion title, several C-Wags class titles, and the AKC Master Rally title. 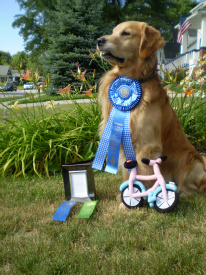 Jeeter also has novice titles in Obedience and Agility, Tricks and several titles in Dock Dogs. As a reward to his agreeing to work int eh Obedience rings we are now beginning Barn Hunt, Shed Hunt, Farm Dog and scentwork. 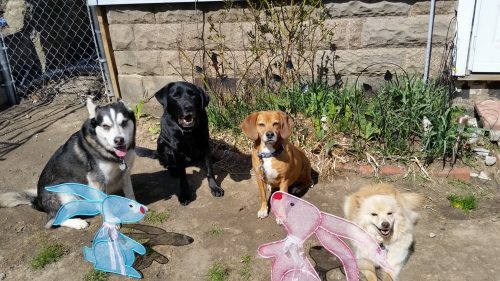 My ‘family’ below: Diesel (husky/shepherd, but all husky mentality), Jeeter (former Guiding Eyes black lab), Shelby (beagle/lab), and Bailey (15 pd German Spitz – all fluff).